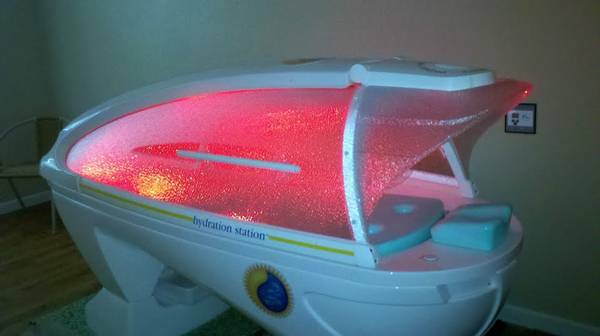 The Hydration Station, by Sybaritic, is the most popular spa capsule in the past ten years! This egg-shaped spa capsule "prepares your skin" for an upcoming session and that evolution can be either a sunless spray tan, UV session in a tanning bed, or red light therapy session. 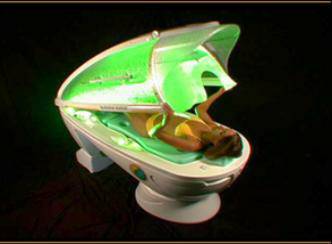 Found below are a few photos of the Feng Shui model illustrating the intricate interior parts of this particular model of spa capsule which accomplishes the exfoliation and cleansing of your body. Our company buys and refurbishes these used Hydration Stations and will deliver them anywhere in the lower 48 states for about $7,999 with a warranty (please call 800-667-9189 for a shipping and installation quote or email us here). The features and instructions of this amazing device can be downloaded and viewed in pdf format by clicking on the brochure pictured below right. The special Hydration Station features include: radiant heat for the whole body; dense steam; 6 color LED light system; vibratory massage bed; aroma and liquid vitamin infusion; color LCD panel; cool facial air; 3 specific programs and TMax compatible. If you can not afford the price of a new model, please consider a refurbished Hydration Station like those pictured below. The photos below are for informational purposes will not be the actual unit we ship to you. 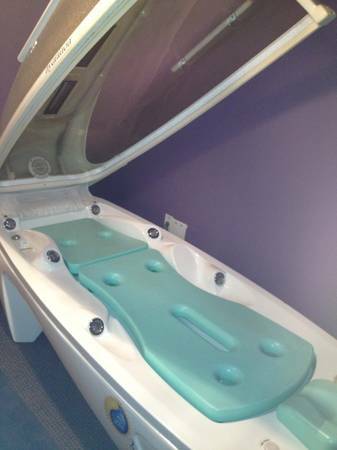 Please call 800-667-9189 or email us here for photos of the actual spa capsule we have refurbished and ready for immediate delivery anywhere in the USA. We currently have a 2008 priced at $7,999 and this price includes a free starter kit and shipped in a crate to anywhere in the USA. 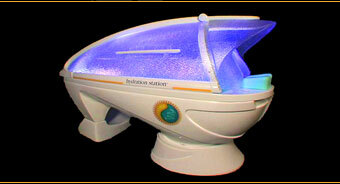 We can also ship this refurbished spa capsule to Canada, Mexico or any destination overseas. This month we offer free installation of this refurbished Hydration Station in Florida, Georgia, Alabama, Louisiana, Texas, Oklahoma, Missouri, Illinois, Pennsylvania, New York, New Jersey and Maryland. Please call 800-667-9189 or email us here with more questions. The Hydration Station pictured above is a 2008 model we have refurbished and ready for delivery for about $7,999, depending on where you live. Please email us here. We would like to buy more used Hydration Stations. Please call or email today if you are willing to sell your older model. 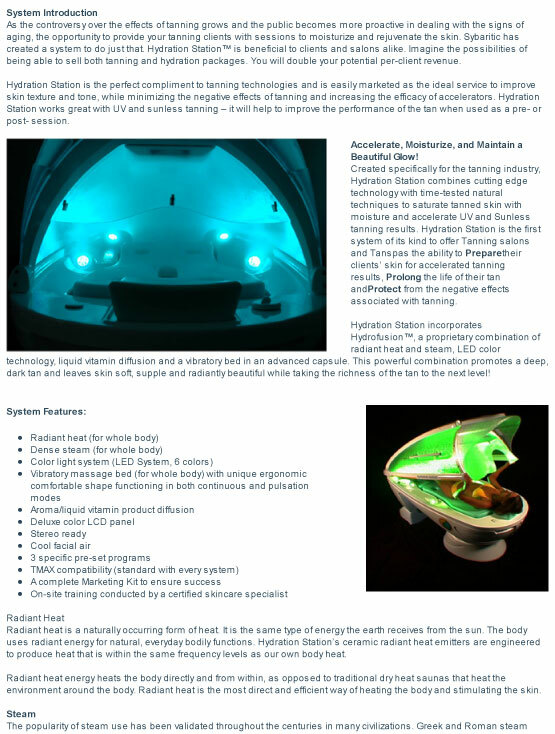 The brochure above more completely explains all the features and benefits of a spa capsule. Please email us here or call 800-667-9189 with more questions.